You’re hiking along and suddenly you step on a rock you didn’t see. Your ankle rolls and you feel that sharp pain. You stop, kneeling down. Ouch! Did you just sprain your ankle? Ankle sprains are common and can happen at any time. Although they often occur when you’re playing sports or hiking in the hills, they can also happen just as easily while you’re stepping off a curb if you happen to land wrong. Fortunately, most ankle sprains are not serious and will get better with home care. It is necessary to treat them correctly, however, because if you go back to your activities too soon, you could suffer from complications that take much longer to heal. An ankle sprain occurs when the ligaments that hold the ankle bones together are stretched or torn. These ligaments are fibrous tissues that connect bones to other bones, keeping them in the proper position and stabilizing the ankle joint. If these ligaments are strained beyond their limits, they become injured, and the immune system goes to work trying to repair them, which causes inflammation and swelling. Talus: This bone sits on top of the heel bone and beneath the fibula and tibia. It’s shaped like a turtle shell and is the main connector between the foot and leg. There are also tendons linking the muscles in the leg and foot to the ankle bones. 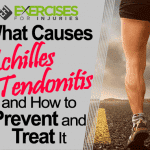 If these are stressed or strained, the injury is called “tendonitis.” While tendons attach muscles to bones, ligaments attach bones to bones to stabilize joints. An ankle sprain affects the ligaments, not the tendons. Inversion ankle sprain: This affects the ligaments on the outside of the ankle and is the most common type of ankle sprain. Rolling the ankle inward causes it typically. Eversion ankle sprain: This affects the ligaments on the inside of the ankle and is common in athletes and others regularly engaging in high-intensity forms of exercise. Rolling or twisting the ankle outward typically causes it. Medial ankle sprain: This affects the inner ligaments of the ankle and is the rarest form of an ankle sprain. A powerful turning outward of the foot usually causes it. Grade 1 sprain (mild): There is a slight stretching or microscopic tearing in the ligament fibers. The symptoms are mild. Grade 3 sprain (severe): The ligament has been completely torn, and there are significant tenderness and swelling. The ankle is significantly unstable. Symptoms vary depending on how severe the sprain is. Mild sprains create mild symptoms, joint stiffness, and uncomfortable walking or jogging. Moderate sprains create much more swelling and bruising, moderate pain and difficulty walking. Grade 3 sprains are the most severe and cause severe swelling and pain and extreme loss of motion. Walking becomes very difficult, if not impossible. Most of the time, you can care for a mild ankle sprain at home, but if you have moderate to severe levels of pain, swelling, bruising and instability, see your doctor. What Happens If You Don’t Treat a Sprained Ankle Properly? A sprained ankle may seem like a minor injury at first (as long as you didn’t severely sprain it), but if you don’t take good care of it, complications may develop. The most common is a chronic condition that continues to plague your ankles, making activity difficult and painful. If you don’t give the ligaments the time they need to heal, for example, you could suffer from “chronic ankle sprain” or “chronic ankle instability.” This is a condition in which the ankle continues to “give way” when you’re exercising or even when you’re just walking. It causes chronic discomfort, pain, swelling and a feeling that you can’t rely on the ankle as it’s wobbly or unstable. When you sprain an ankle, you have to give those ligaments time to heal, and then you need extra time after that to rehabilitate the muscles and tissues around the ankle so that it will feel stable again. If you fail to take the proper steps, you could have repeated ankle sprains and chronic instability. Each sprain leads to a greater stretching and weakening of the ligaments, which leads to additional ankle problems down the road. When you first sprain your ankle, follow the RICE protocol of rest, ice, compression, and elevation immediately. If you have a mild sprain, this alone, along with time, will likely help you heal. If the pain and swelling are moderate to severe, be sure to see your doctor. You can also use over-the-counter pain relievers to help reduce inflammation and discomfort. If you go to your doctor for treatment, he or she may prescribe a brace, boot or cast to reduce the motion in the ankle and may provide you with crutches so you can keep your weight off it. The immediate goal is to reduce swelling and pain, so you’ll probably need to rest the ankle for several days to a week. It used to be that doctors recommended rest longer than that, but now we know that going immobile for too long does more harm than good. Today, the recommended treatment is more likely to include movement early on. The key is to start slow and go at it carefully. Remember that failing to give the ankle ample healing time can lead to chronic pain and instability and, in time, may even lead to early arthritis in the joint. The National Athletic Trainers’ Association stated in a 2013 study that individuals who sustain ankle sprains “demonstrate high recurrence rates, prolonged symptoms, diminished quality of life, reduced physical activity levels across the lifespan, a propensity to develop chronic ankle instability and an increased risk for ankle osteoarthritis.” They attributed this to inadequate treatments and to the fact that athletes frequently return to activity before the ankle has healed. Once the pain subsides, your doctor may suggest physical therapy exercises to help speed healing and strengthening. These may include light exercises like ankle circles, picking up marbles with your toes and balancing on one leg. Once you’ve recovered normal flexibility, you’re likely to move on to other exercises that help gradually lead you back to your normal exercise routine. Surgery is necessary only when the sprain doesn’t respond to other treatments and usually involves repairing the torn ligament with stitches or sutures. Standing bent-leg: Stand on the injured leg and slightly bend your knee. Hold for 20 seconds, straighten and repeat. Tiptoes: Stand up on your toes, and then lower down very slowly. Repeat. Knee stabilization: Sit in a chair with your foot flat on the floor. 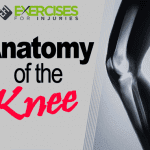 Move your knee from side to side slowly while keeping your foot flat. Continue for 2 or 3 minutes. Down and up: Put your big toe and one or two nearby toes underneath an object like the couch and your heel flat on the floor. Pull up against the couch and hold for a count of 10. Then, put your pinky toe and that side of your foot against an object and push down. Hold for a count of 10. Resistance band push and pull: Put a resistance band around your forefoot, holding the ends in your hands. Push the ankle down as far as you can gently, then release. Repeat 10 times. Then, tie the bands around an object and wrap the ends around the front of your foot. Start with your foot pointed down, and then pull the toes toward you, keeping the leg and ankle straight as far as you can. Repeat 10 times. Pillow stand: Stand with one leg on a pillow and hold for a count of 10. Repeat. 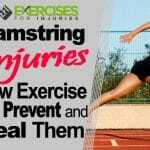 If you are looking for ways to eliminate pain and properly heal your Ankle Sprain, then check out the Ankle Sprain Solved program.